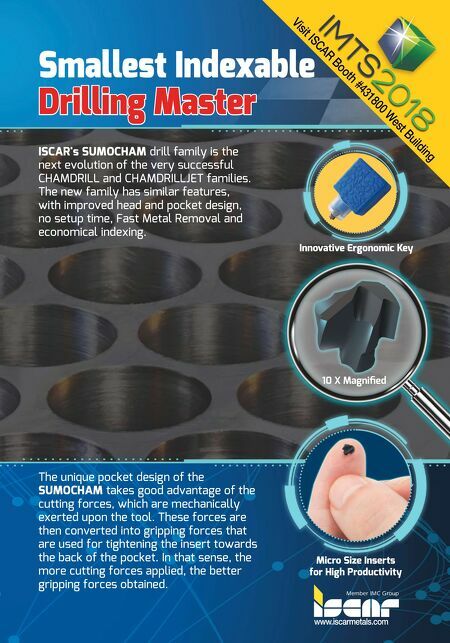 www.iscarmetals.com Micro Size Inserts for High Productivity 10 X Magnified Innovative Ergonomic Key Visit ISCAR Booth #431800 West Building Smallest Indexable Drilling Master ISCAR's SUMOCHAM drill family is the next evolution of the very successful CHAMDRILL and CHAMDRILLJET families. The new family has similar features, with improved head and pocket design, no setup time, Fast Metal Removal and economical indexing. 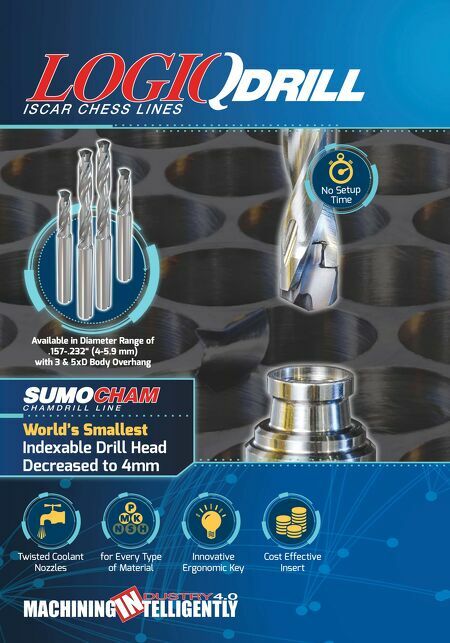 The unique pocket design of the SUMOCHAM takes good advantage of the cutting forces, which are mechanically exerted upon the tool. These forces are then converted into gripping forces that are used for tightening the insert towards the back of the pocket. In that sense, the more cutting forces applied, the better gripping forces obtained.